I'm looking for a full tattoo sleeve design/composition for my left arm. No tattoo experience necessary but a deep knowledge of the Star Wars universe is a must have. 1. 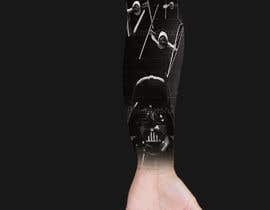 Wrist & forearm: Darth Vader. Note: This element will cover-up an existing tattoo and so needs to be large and dark in colour. 3. Forearm lower: Boba Fett in action pose. 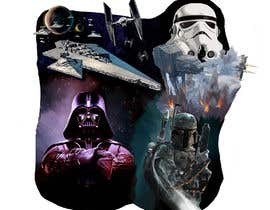 Ideally with Bespin and Slave one in background. 4. Forearm Mid: Assault on Hoth action montage. 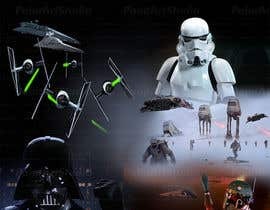 Should include AT-AT's, Snowspeeders and ground troops. 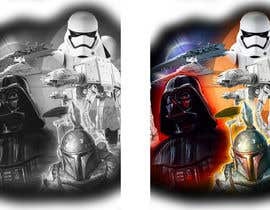 Attached is composition from the tattoo artist, by his own admission he's not a Star Wars fan and i'd like to provide more detailed guidance. 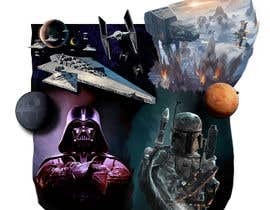 Battle of Hoth montage images attached. Most tattoo artists will not use designs made by someone else, you are better off talking direct with a tattoo artist. I have been tattooing professionally for 17 years.